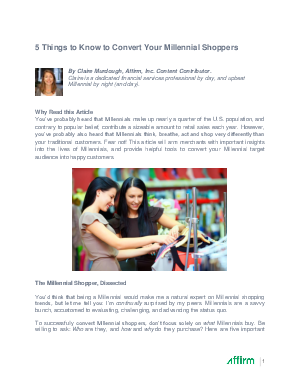 You’ve probably heard that Millennials make up nearly a quarter of the U.S. population, and contrary to popular belief, contribute a sizeable amount to retail sales each year. However, you’ve probably also heard that Millennials think, breathe, act and shop very differently than your traditional customers. Fear not! This article will arm merchants with important insights into the lives of Millennials, and provide helpful tools to convert your Millennial target audience into happy customers.